What is Picking by Voice? Pick-by-Voice, a further development of RF Picking, offers a completely voice-based interaction between picker and system; thus the picker’s eyes and hands are free for picking. 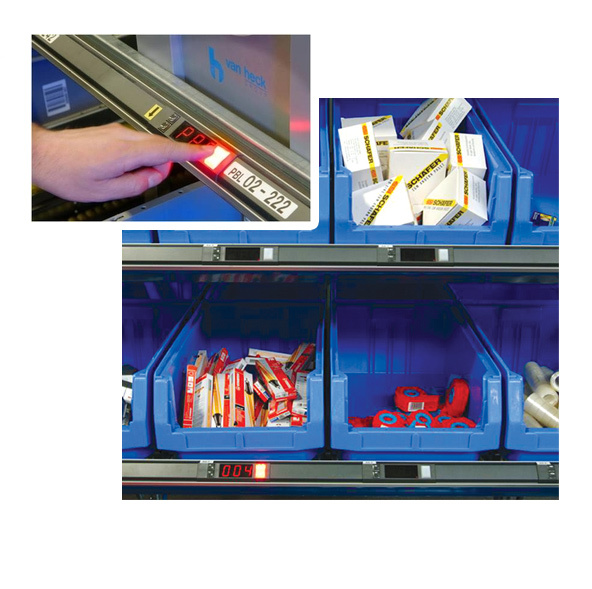 The SCHAEFER Pick-to-Light System is a semi-automated paperless picking system. 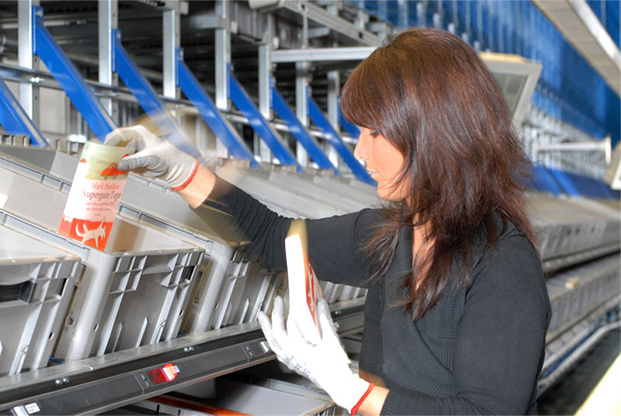 By combining Pick-To-Light with conveying systems and material flow software, operating cycles are optimized and logistics costs are reduced. 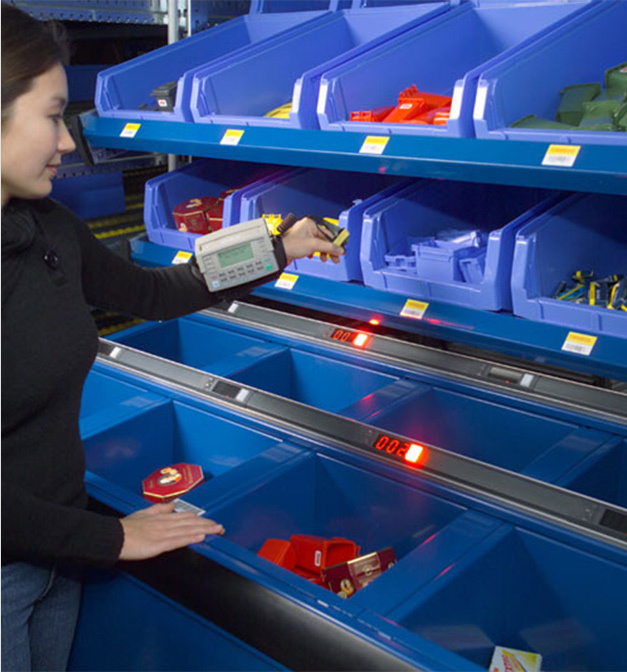 Pick-to-Light is an electronic guidance tool that directs a picker visually to a specific picking slot. 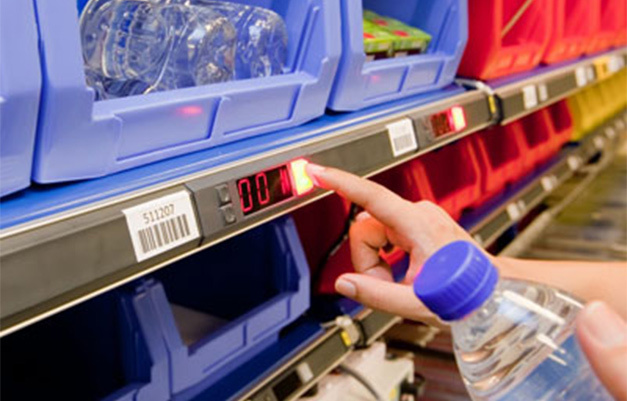 It advises the picker of the quantity of items to be picked from a specific slot. After manual confirmation, it records the picking transaction and instructs the host to adjust the inventory. Single products is controlled by light signals. This is one of the best known types of hands-free picking. The light guided system makes it easy to use and easy to learn. It generates a high throughput with virtually no picking errors. Mobile User Interfaces (UIM) allow you to exchange your data between individual terminals via radio data transmission. Our system employs hardware-independent user dialogues. 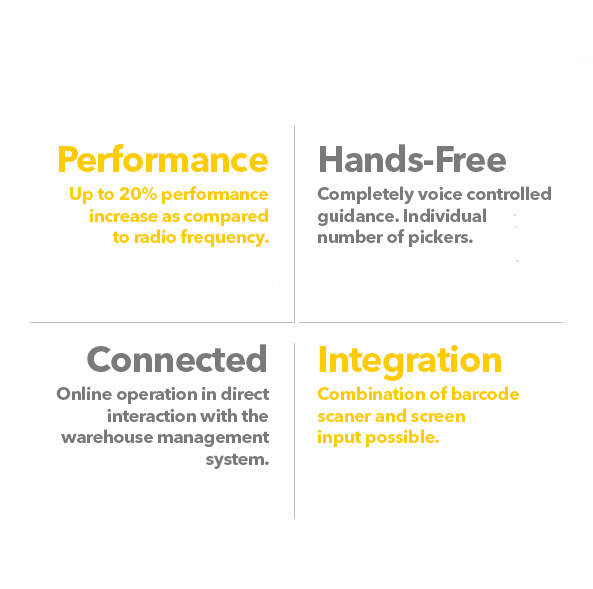 Radio Frequency Picking can be implemented as a "stand alone" solution or linked to your system online. By using spread spectrum transmission, you can connect both your handheld terminals and permanently installed forklift terminals to a central server. The mobile UIM is ideally suited to ensuring a high level of efficiency in a wide variety of applications. 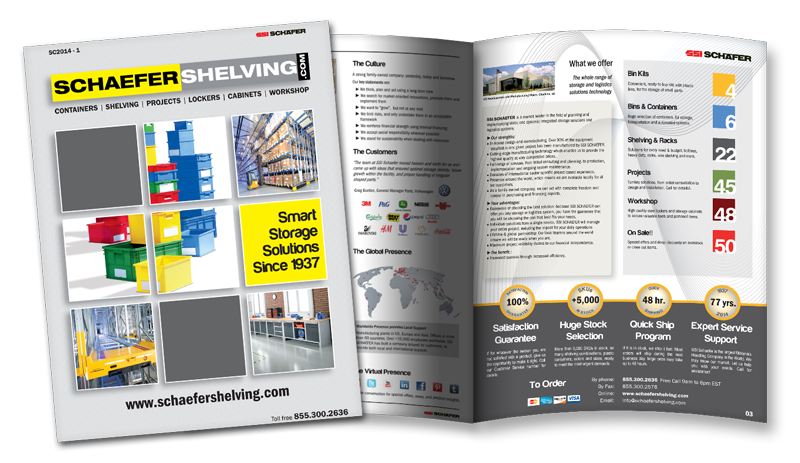 Watch SSI SCHAEFER Picking by Voice in action!